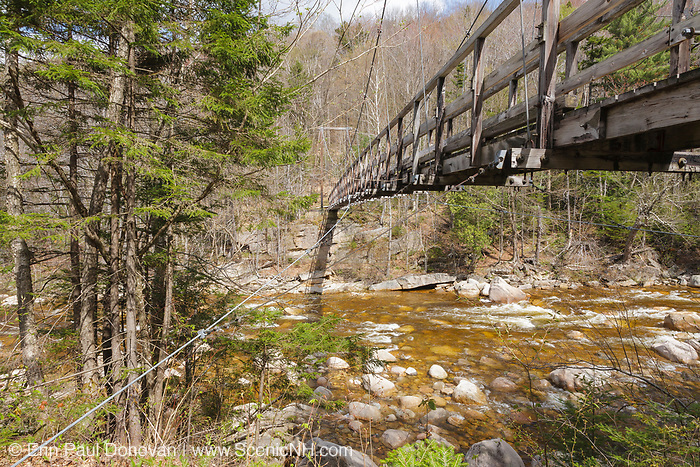 Description: 180-foot-long suspension bridge along the Wilderness Trail in the Pemigewasset Wilderness, New Hampshire. It spanned the East Branch of the Pemigewasset River just above the East Branch & Lincoln Railroad’s old trestle No. 17. Built in 1959-1960, the footbridge was dismantled in 2009 because of safety issues.